WARNING: This product can expose you to chemicals including Polybrominated biphenyls, which is known to the State of California to cause cancer, and to cause birth defects or other reproductive harm. For more information go to www.P65Warnings.ca.gov. The eye-catching Element Series acoustic guitars are the most high-quality and well-appointed instruments Mitchell has ever created. By combining premium tonewoods with state-of-the art construction techniques and breathtaking aesthetics, every guitar offers superior tone and unwavering quality. 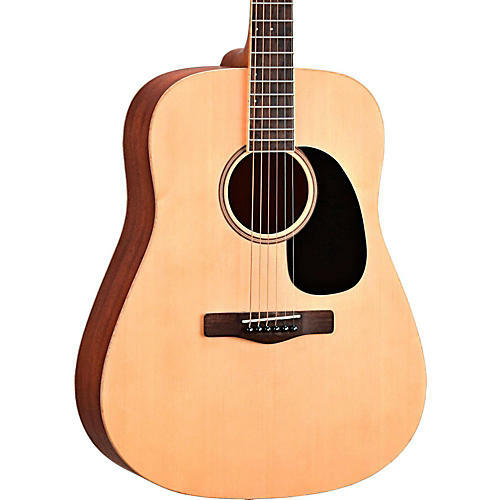 The ME1 dreadnought model features a solid spruce top with sapele back and sides for punchy midrange and great projection. All Element Series guitars have a unique shifted scalloped X bracing pattern that enhances resonance and projection. Stunning flame maple binding and lightly rubbed satin finishes provide both a striking look and an evident "woodiness" to the tone.